So the last month that I had not been blogging has been quite eventful and very memorable. I have been learning a lot about pacing myself and designing my own breaks. I have also been enjoying being busy — which is not always the case, so I’m both surprised and thankful. I think I’m enjoying myself because I find I’m working with people I love to work with and doing things I love to do. Hard not to have a good amount of fun even if work is tough and trying. 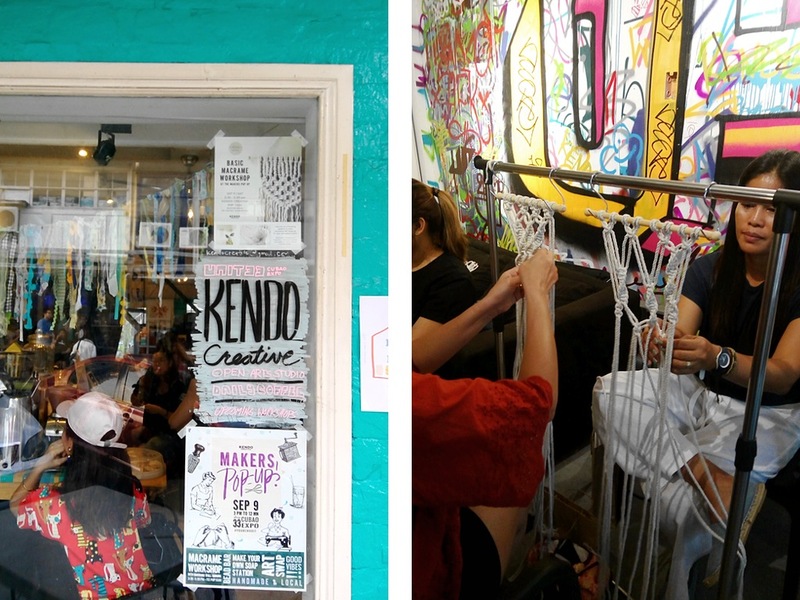 We try to organize pop-up events at Kendo once a month. 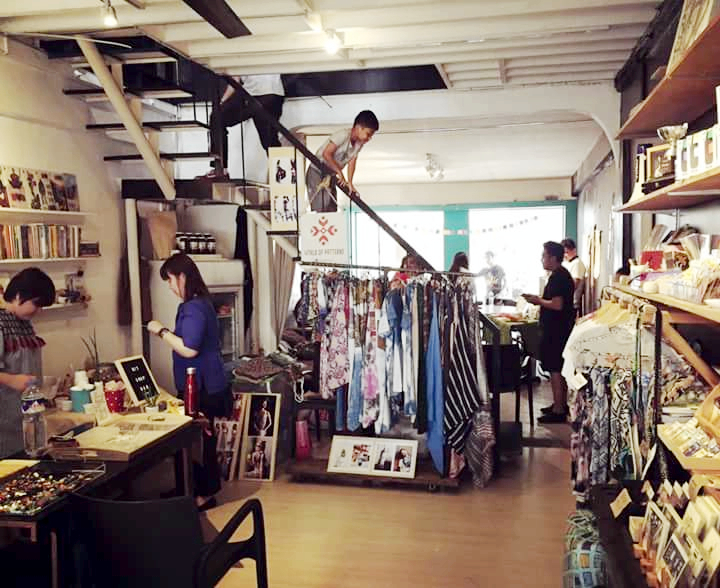 The last one happened on September 9 and was makers themed wherein items sold were all handcrafted and/or contained only original designs by local artists. 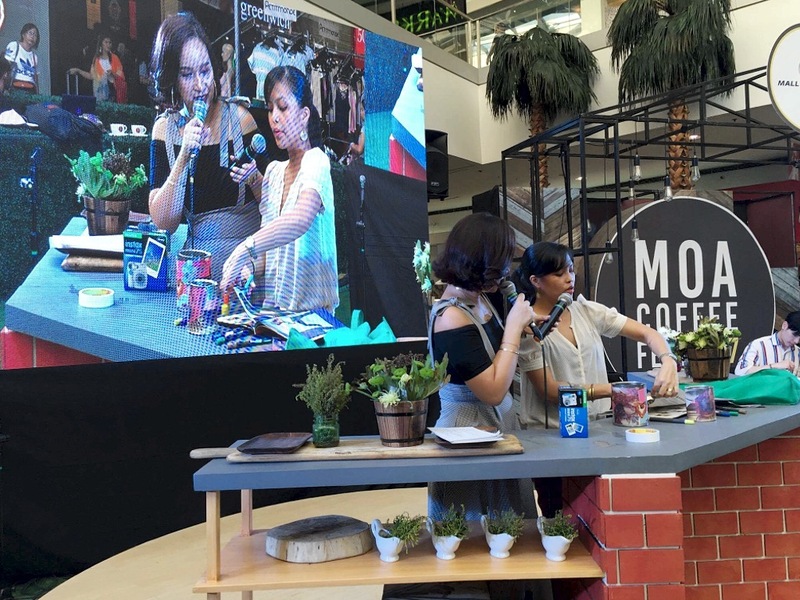 We also had DIY stations like the soap bar and bead bar so shoppers could try their hands on some arts and crafts. Makrama Wall Hanging PH also held a basic macrame workshop! Even if it’s a small event, organising these things take a lot of work. But at the end of the day, I’m happy because I get to meet people and give fellow makers a venue to share their art and love for making. My partnership with Fujifilm Instax is ongoing and I couldn’t be more happy with the events I do with them! 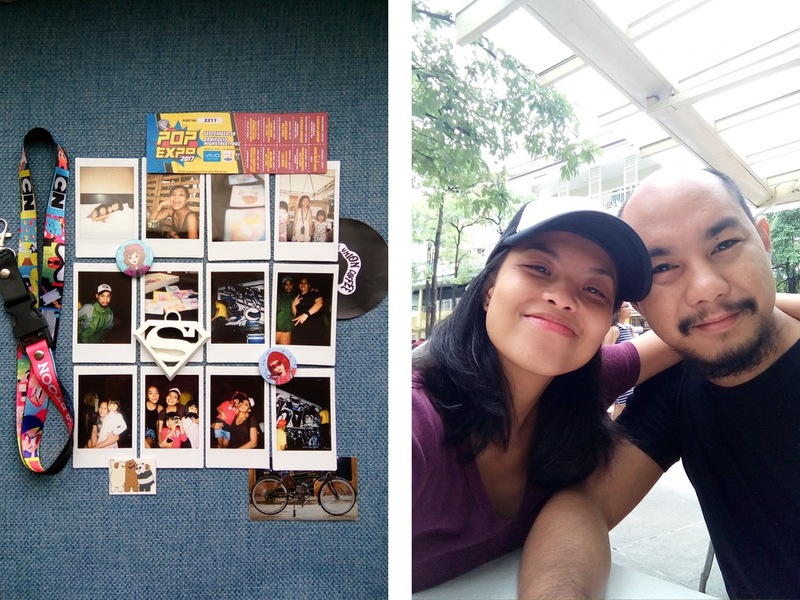 I’ve had two more Instax events since this post a couple of months ago and I will blog about the most recent one soon! But really, you guys, I super enjoy using my Instax Mini8 and SP-2 printer. 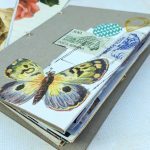 They simply add a lot more fun to journaling, my kids’ art projects and documenting special events. 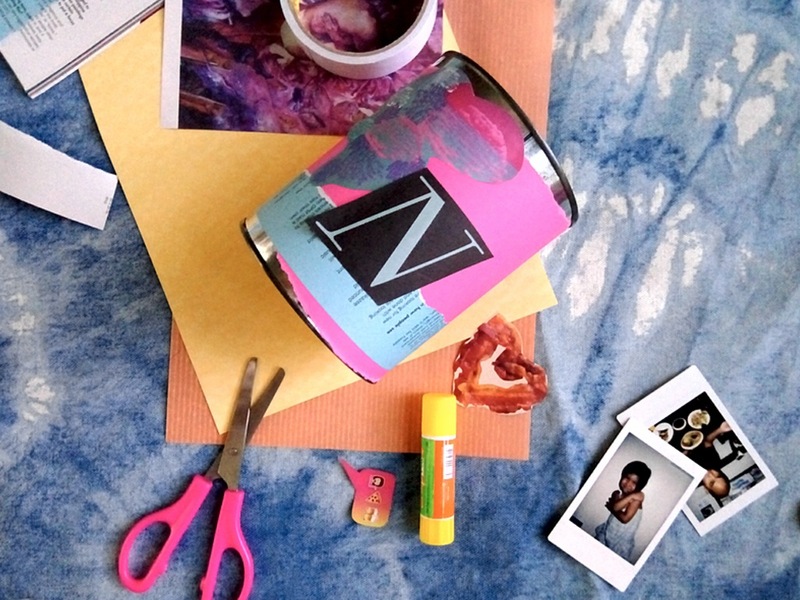 I also thoroughly enjoy being able to teach fun and simple crafts using Instax photos. It’s my current happy project! This is Honeycomb’s big shot event this year as part of the Geekgikan group and in partnership with WarnerTV. It’s something we, specially Kayo, has only day dreamed about for so many years. Finally, he, along with some other friends and colleagues, has made his geeky dreams come true! 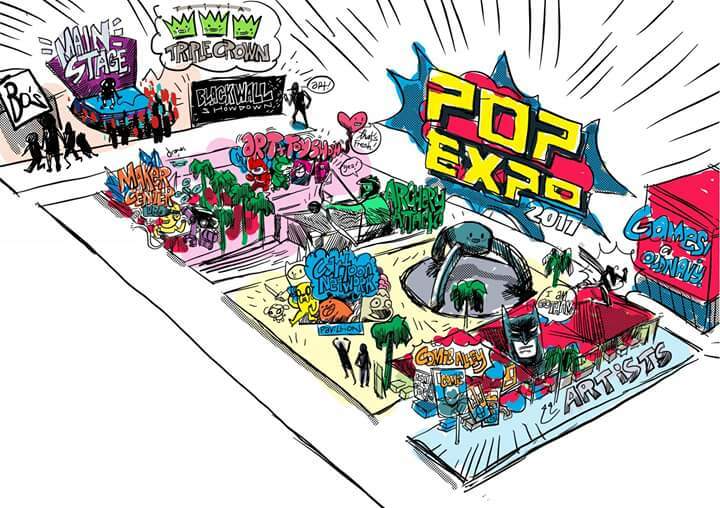 WarnerTV PopExpo is a festival of all things geek in pop culture. That includes comics, art, toys, DIY, video games, board games, trivia and music. 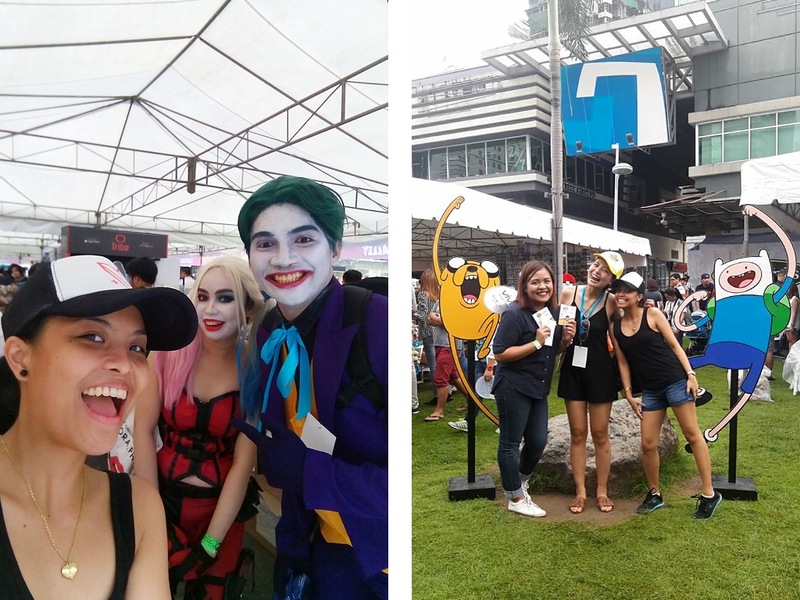 It was held outdoors at Bonifacio Highstreet last September 30 and despite of the intermittent rain, a few thousand people did show up to take part in the many activities, claim freebies (which we had TONS of! ), interact with other geeks, cosplay, take photos with cosplayers and simply have some fun. I specifically enjoyed that there was a wide variety of things to see and do. Even though I didn’t get to join all the activities because I helped out the organising team as well as watch our Kendo booth, it was pretty cool to walk around and see so many different and interesting things in one venue. I’m so happy my friends came by to join the festivities as well! Kudos to the production team for pulling this one off! I know for a fact what a pain it was but it came together pretty well and gave so many people such a good time! I am obviously, most specifically, proud of my husband for all the work he put in to make this happen. 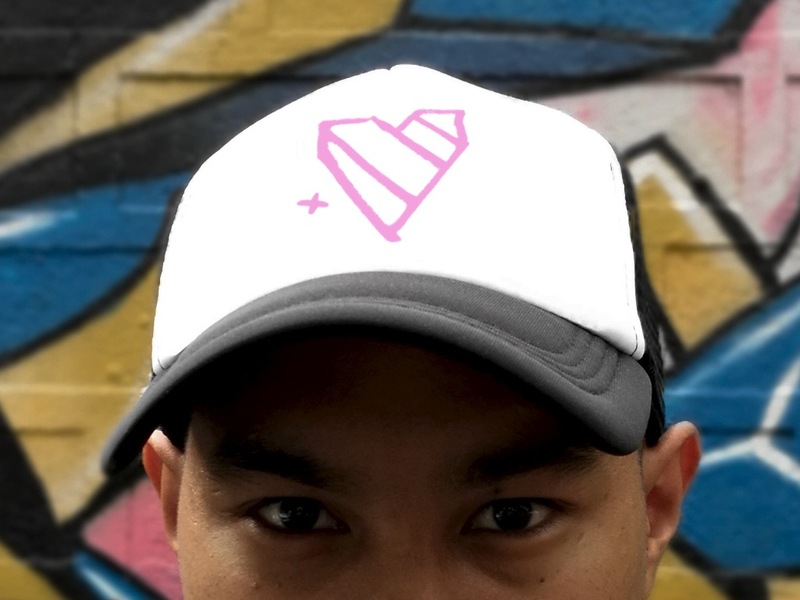 At the same time as WarnerTV PopExpo, we released our Carlos+Veronica mesh caps. Really, it’s just something we did for fun because we could and so we did hehe. But I really love it and both Kayo and I wear it all the time! 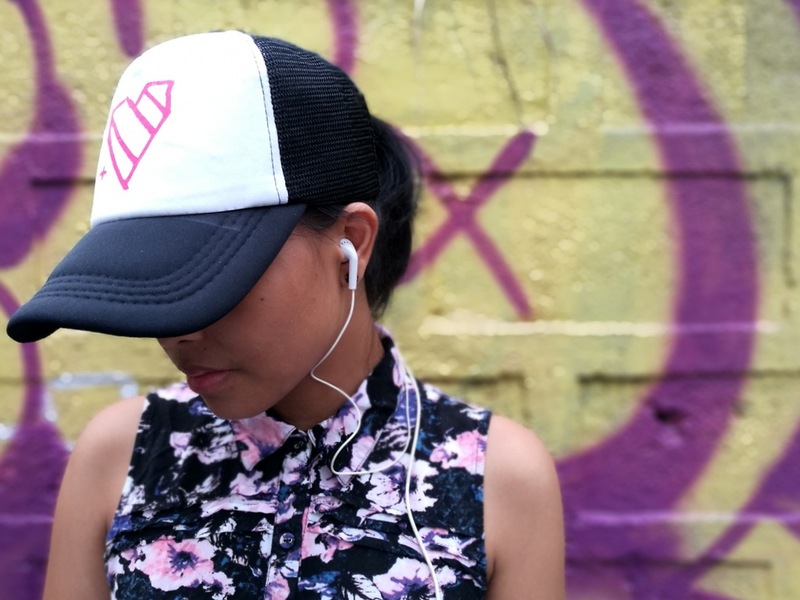 Available at Kendo Creative for P180! So I mentioned something about “designing my own breaks” and what I mean when I say this is that even if I often don’t get the kind of break that I think I deserve — meaning, long and restful — I find that I can and should create for myself ways to just escape everything for just a tiny bit and really enjoy it. It changes everyday and I try to keep redesigning how I spend my free time, but two recurring activities are: re-watching episodes of The Office (tough to go wrong with that) and drawing — something I haven’t done intently in a long while. This is why I decided to play along #INKTOBER2017. I’m not super on track, mind you, but it’s a very enjoyable excuse for me to give myself a breather from chores and desk work once or twice a day. Follow mine by checking out #NCInktober2017. 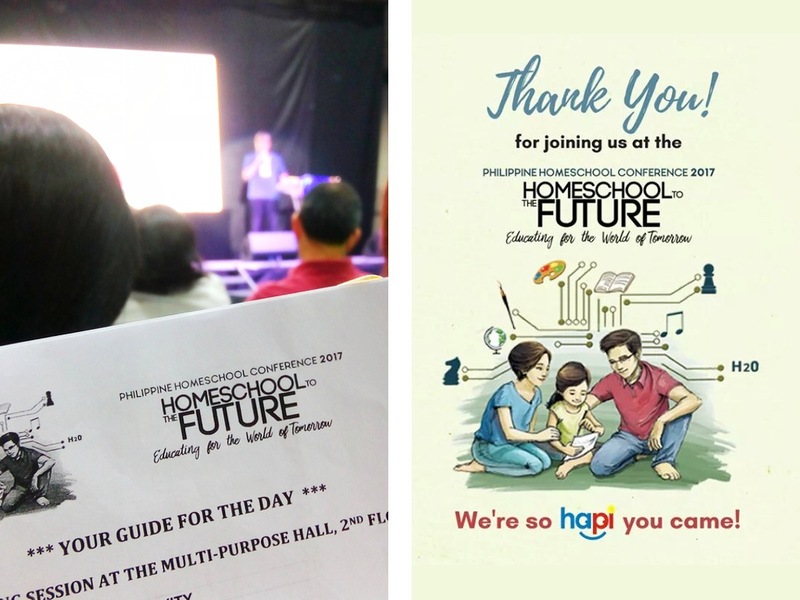 I attended the Philippine Homeschooling Conference last September 7th and I’m very glad I did. I learned so much from other homeschooling parents and their experiences. Hearing their stories made me feel a lot less alone. It’s quite liberating to know that I’m not the only mom who goes as crazy as I do having to deal with all the day to day details of running a home and caring for small children, while at the same time trying to integrate learning into their routine. I’m not saying I’m completely confident now but a lot of pressure has been lifted — the pressure to “keep up” and make sure my girls “know things” already just because of their age. I also feel affirmed because a lot of the things we already do as a family are great learning experiences for the girls and so I’m encouraged to keep it up. That conference was empowering in so many ways and I’m grateful to all the speakers who so candidly shared their family life stories with us. 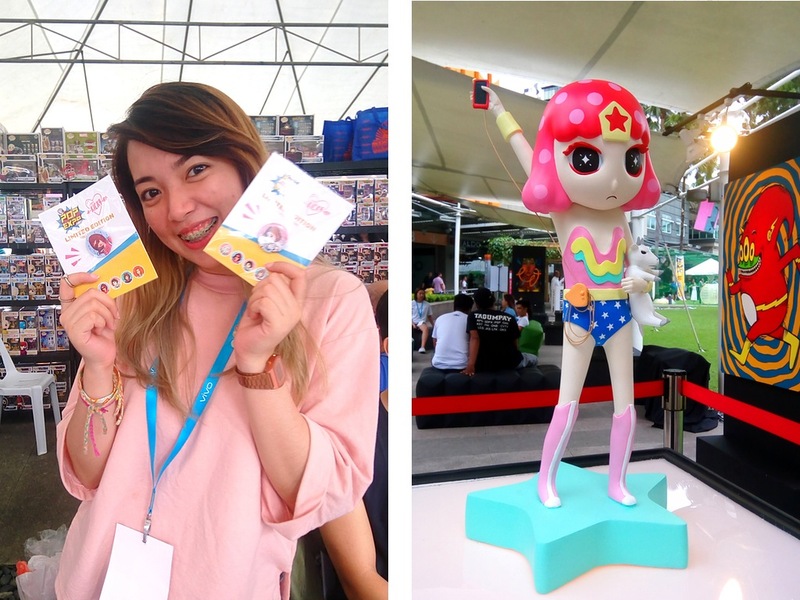 This weekend is the Katipunan Art Festival and I am so proud to be part of it somehow! 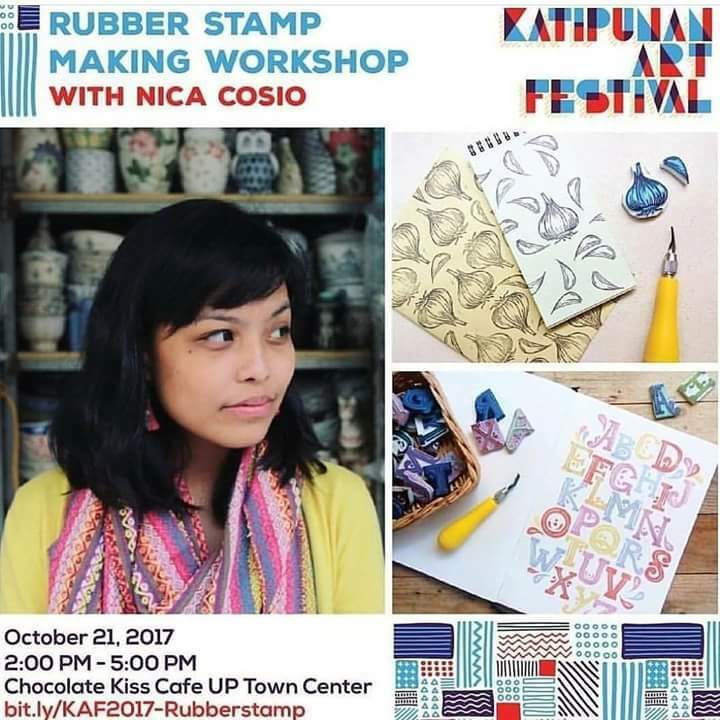 I will be holding a Rubberstamp Carving Workshop at Chocolate Kiss Cafe, UP Town Center at 2-5PM on October 21. But apart from that, I am just excited to be there and witness it all! 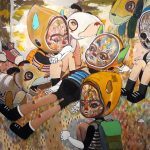 There’s tons of stuff happening and they all sound so interesting, so before and after my workshop, I will definitely do my best to check out everything. I hope you do too! 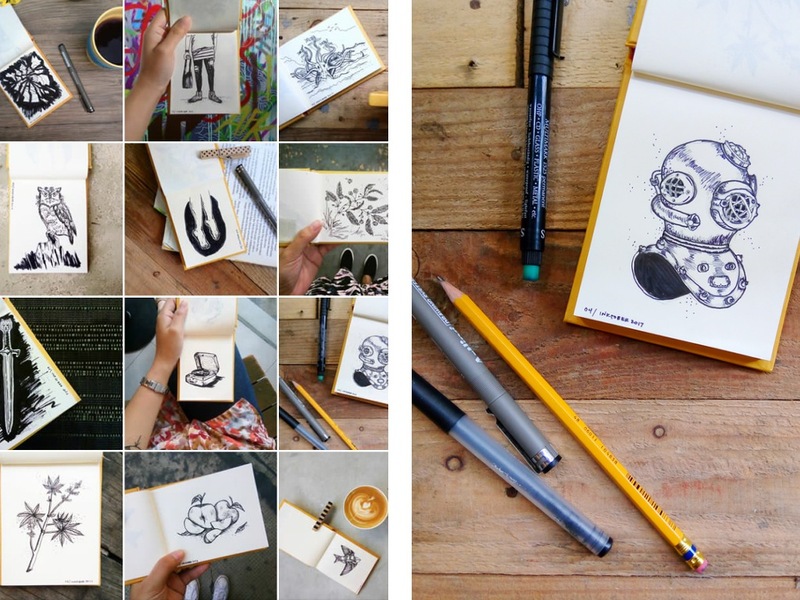 To see the details and full festival schedule, simple go to the Katipunan Art Festival Facebook Page. 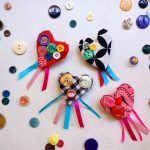 And if you are interested in joining my workshop, you may register here. Let’s see each other there! So yeah. I guess that’s not a little bit at all, as the title says. It’s definitely a whole lot. It’s a whole lot of things we are deeply thankful for as a family and writing it all down just now makes me so delightfully overwhelmed that God allows us to do and experience and learn these things and much more. I may complain or let out deep sighs every so often because this life is a lot of work. But I won’t trade it and I do very much love it. Have an amazing last quarter of the year, you guys! Blocleaf Cafe in Malate. -- Quick thoughts.